I wanted to share with you a site I think you will love! It combines three of my favourite things: handmade products, deals and giveaways! Sassy Steals is a boutique and handmade daily deal website with steals from 60-90% off! They also host a weekly giveaway every Friday. They are always looking for vendors with unique products to feature on their site, so if your business fits then contact them for more information. During the second week of March, they are hosting their first ever Sassy Steals Boutique. This event will feature several vendors and over 100 items at amazing prices for the entire weekend! 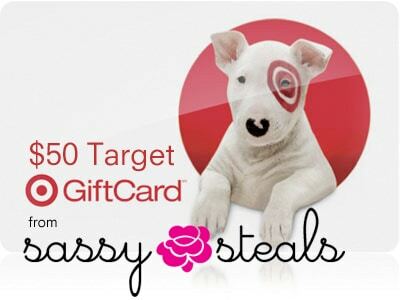 I encourage you to check out Sassy Steals and sign up for the newsletter so you never miss a steal! I’ve tried to sign up for their newsletter but it won’t recognize my email. I don’t know what to do! I am already subscribed to Superpoints! I had the same problem signing up for Sassy Steals newsletter, but I discovered that you not only need to fill in your email address and your first name, but before you hit the submit button, look up top to your right and there is another place where you need to enter your email and then you can hit the submit button. Hope this helps! GOOD LUCK EVERYONE! Thank you thank you!! That is really irksome when u fill in the fields that are obvious and it won’t submit! Thanks for the opportunity to win the Target GC! My email wasn’t accepted. Don’t know what to do. Please help. I subscribed to the newsletter. Great site! I am an email subscriber and I love Target.